Magdalena Proszowska is a senior concept artist at Ubisoft Blue Byte, working most recently on Champions of Anteria. Magdalena is a self-taught artist, a gamer, a book worm, and occasionally teaches at Cologne Game Lab (Institute for Game Development & Research). When the weather is good you’ll find her rollerskating through beautiful Düsseldorf city where she currently lives. 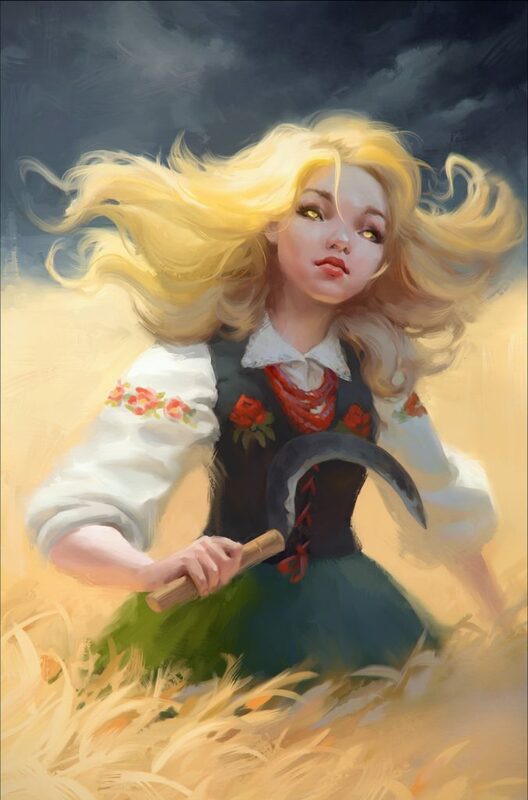 In this 30-minute tutorial Magdalena tests Corel Painter 2018’s natural media painting tools to bring a Polish folk-legend to life. A 30-day trial of Painter 2018 is now available for Mac and Windows.